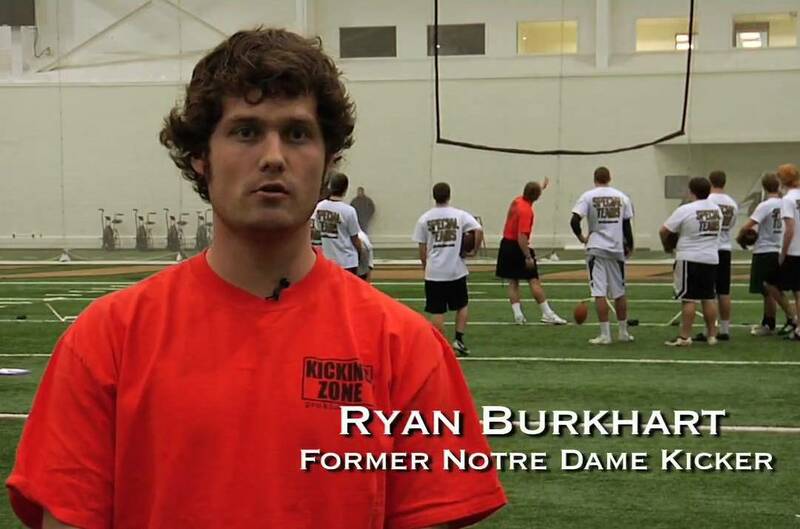 Ryan Burkhart was ranked by Ray Guy Prokicker.com as the number one kicker / punter combination specialist in the country during his senior year. This national recognition- along with his tremendous high school academic and athletic accomplishments earned him a full scholarship to the University of Notre Dame. During his high school career at Northwood High School Burkhart was named to Indiana's Top 50 All-State team as its only placekicker (selected by the Indiana Football Coaches Association). His kicking leg helped lead his high school football team to the Indiana Class 3A state crown in 2005. During his junior year he was selected as Indiana Class 3A all-state pick by both Associated Press, IFCA and Bloomington Herald-Times. Not to mention his first-team all-conference selection as both kicker and punter his junior and senior year. A outstanding coach...he has become a favorite instructor especially in northern Indiana / Chicago area where he provides private kicking and punting instruction opportunities year-round for serious kickers and punters wanting to develop their skills.